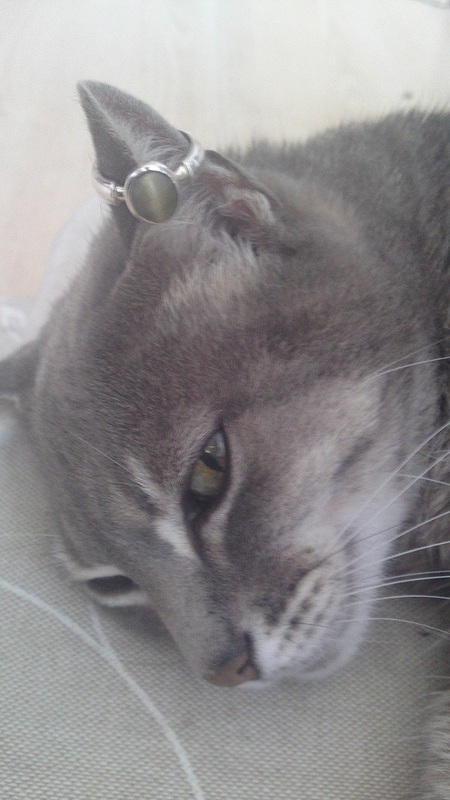 You are here: Home / Natural Fine Planetary Talismans / Amazing Tabby and the Cat’s eye – Is this for Real? 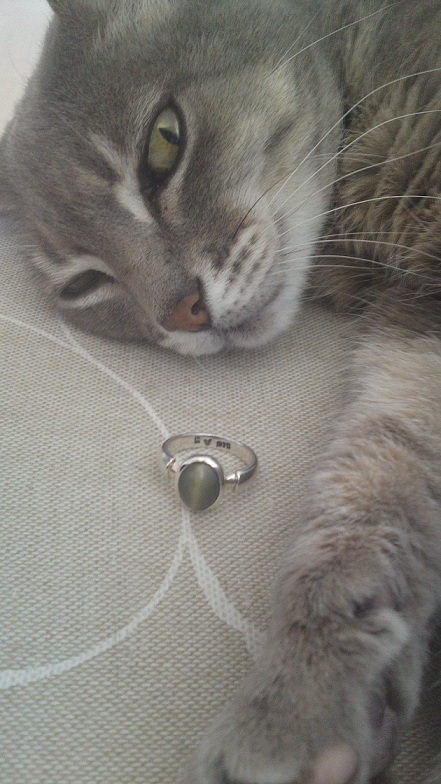 Amazing Tabby and the Cat’s eye – Is this for Real? 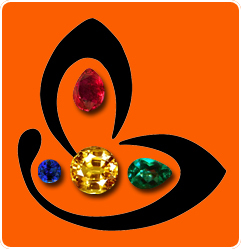 The cat’s eye is a very powerful gem used to harness the divine and mystical powers of planet Ketu – the Dragon’s anti-node. It is a lovely chatoyant gem that displays an effect akin to the opening and closing of the eye of a cat! 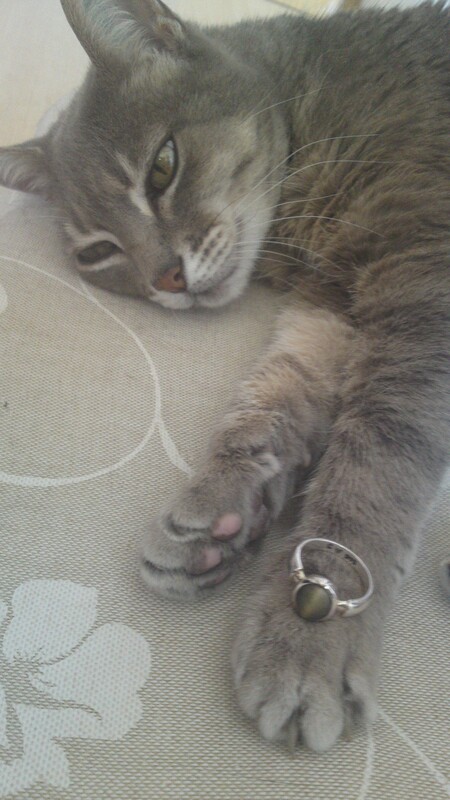 Some time ago, a beautiful dhoomket, a smoky grey Cat’s Eye was made into a talismanic ring and sent to a patron in Denmark. The delighted patron sent across some amazing pictures that we are sharing with you. Never have we seen such an acquiescing and obliging model – take a look at the calm and mesmerized tabby that poses with a natural ease, even looking on at the talisman!! 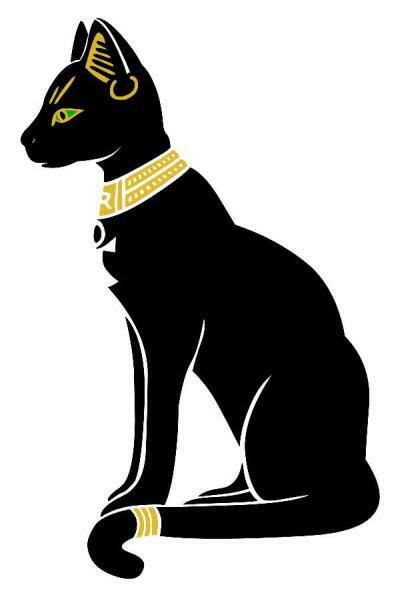 The parallel is not amazing that in ancient Egypt, Bastet was the highly revered Cat goddess. She is often depicted as a goddess with the head of a cat. Her sculptures were made of a material called alabaster. Ever sharp and alert, she was regarded as a great protector and would even accompany the Sun god Ra everyday in his journey across the sky, looking out for him, protecting him from his enemies. And this is where in ancient lore, the mystical, perceptive and protective powers of the cat’s eye gemstone also find attribution to. It is a stone that is widely believed to be very protective even from the evil eye and psychic attacks, sharpens the intuition and greatly helps improve self worth and confidence.